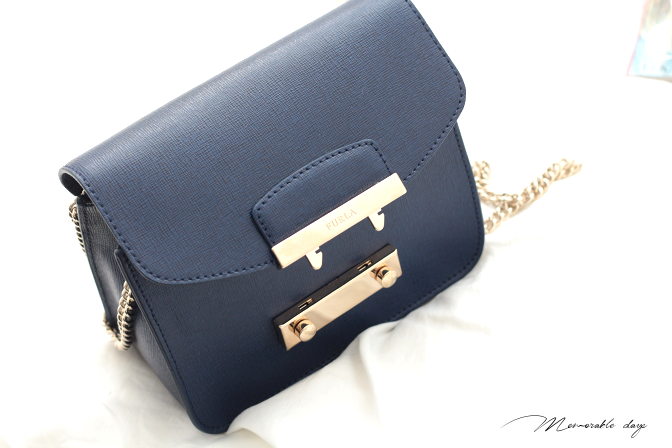 Haul: Furla Metropolis Crossbody Navy Bag | Memorable Days : Beauty Blog - Korean Beauty, European, American Product Reviews. Ahh girls, I am so happy since I have purchased my very first Furla Metropolis Crossbody bag. They have it in many colors and it was so hard for me to choose, but in the end I bought it in the color navy. Check out today's blogpost for some details! If you are interested, you are able to purchase it on their official website: www.furla.com. Their assortment is pretty large, selling large as well as mini bags. I am loving the color and the classy details! What do you think? If you are following me on my instagram, you've probably seen this picture already. 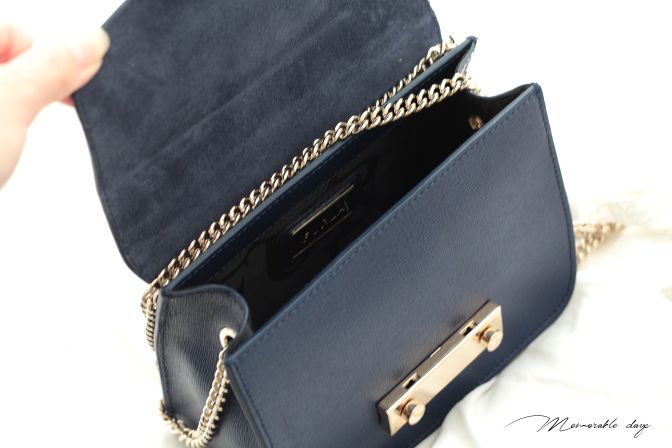 Here you can see my ootd where I styled this cute Furla bag. I matched it with a black peplum skirt and turtleneck top, ending it with some lace up flats. It looks cute yet classy! Follow me via instagram : Kawaiipeachies for more ootd's!